There will still be provisional starting positions for the Oxford 250 available to the top 3 finishing US and Canadian drivers at this event. 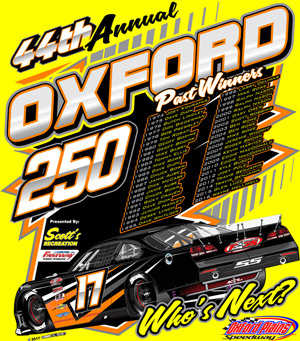 The top three finishers who have not won a PASS event in the last five year will be guaranteed a spot in the OXFORD 250, while the top two finishers who have won a PASS event will also be granted a provisional if needed. 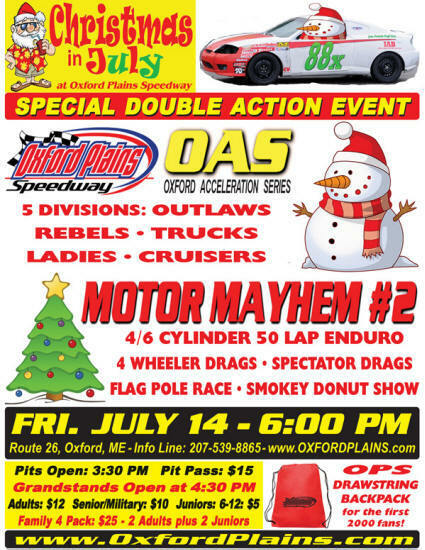 On the Oxford Plains Speedway Front Stretch. Press and general public welcome.
.:: SUBJECT TO CHANGE ::.